I really like how you organized this round-up Kim! Thank you Shareba....it was a lot of fun to do, I think I might be doing more, maybe smaller next time. Some yummy looking popsicles here. Pinned it!! Can't wait to make some for me! Don't they all look wonderful Bobbie? I plan on making several of them for sure. I love popsicles too Melissa, I can not wait to make several of them. Thanks for stopping by! Great round-up Kim! Now I'm craving popsicles. Thanks so much Melissa...and thank you for all your help with this! These look fabulous! So cute too! 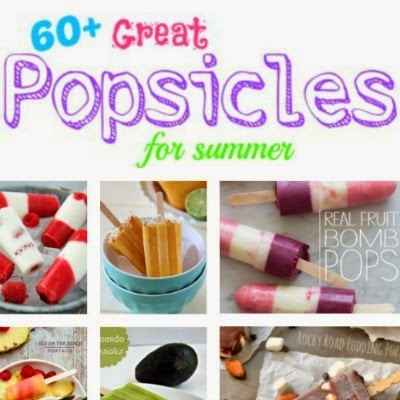 Well clearly popsicles are a versatile summer treat. Thanks for sharing this bevy of deliciousness. Can't wait to try a few. I call them "Choppedsicles". Thanks for tasty inspiration. So good to see you at our #theWeekendSocial! Please stop by next week and party with us again! Thank you so much Kimberly....and you Jessica too! 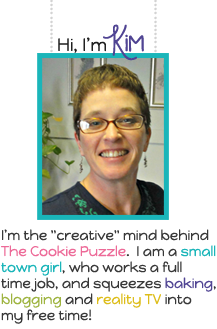 I love your link party....so many fun things to find there! I will be joining you again tomorrow too! This recipe has been featured at Tasty Tuesday this week! Feel free to stop by and grab a featured button, as well as link up some new recipes here! 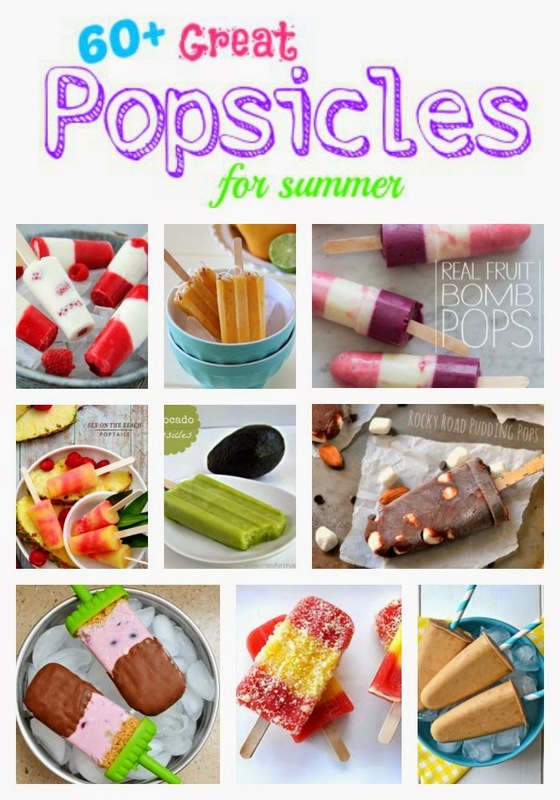 Love this roundup --it's so hot here, we crave anything cool! I Pinned it! Hello from Lou Lou Girls Fabulous Party. Great ideas for popsicles. I featured it tonight on my facebook. Thanks for linking up.